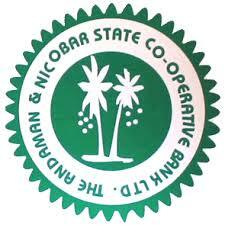 Andaman & Nicobar State Cooperative Bank (ANSC) has published Advertisement for below mentioned Posts 2019. Other details like age limit, educational qualification, selection process, application fee and how to apply are given below in the advertisement. herein:- The application shall be typed out in double space neatly & duly filled in all respect should be sent along with the self attested copies of proof of age, Educational Qualifications, Category (Scheduled Tribe Certificates in respect of Scheduled Tribe Candidates & OBC Certificates in respect of OBC candidates), Proof of Identity (a copy of any other identity card issued by Government & all relevant supporting documents for claiming age relaxation, if any need to be sent to the Managing Director, Andaman & Nicobar State Cooperative Bank Ltd., Head Office,98, Maulana Azad Road, Port Blair, Pin - 744101 latest by 30-04-2019 upto 04:30 PM either in person or by post.